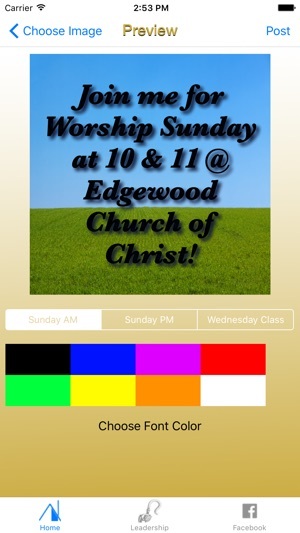 Welcome to the Edgewood Church of Christ iPhone App! 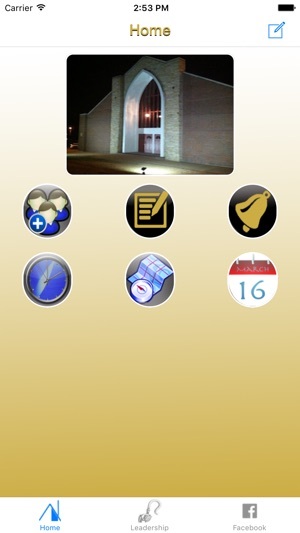 Here are some of the things you can do from our very own iPhone App! * Fill out a Prayer Request Form to submit to Facebook, Twitter, or Email our office. * Contact our office for info, or filling out a guest registration form. 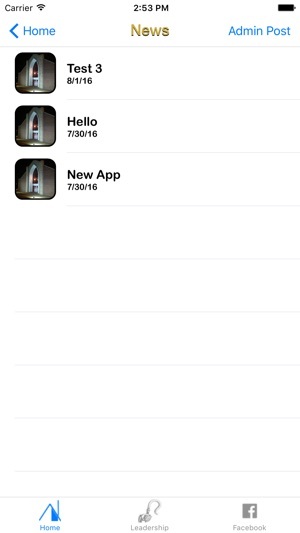 * iOS 5 Twitter Integration that can be used to invite friends to services, or share one of our articles. 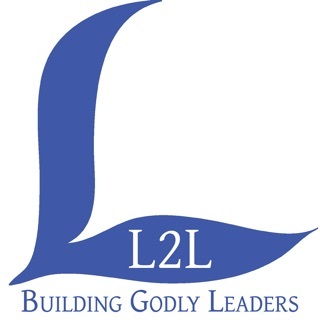 * View our preacher's blog articles and share via Facebook, email, or Twitter (iOS 4.3 required). * Find us on the map. * View the monthly perceptions articles. 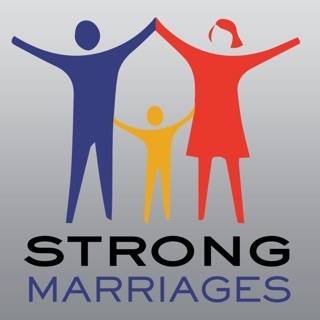 * Learn more about the church, and our beliefs. * Learn the steps of salvation via a quiz, with verses that show the steps. * Learn about some of the works we support, and view more information about each of them. All this can be done from the comfort of your phone! We hope you use this often, help spread the word, and enjoy all the unique features this app has to offer. * Prayer requests submitted via Twitter or Facebook will be made public as your Facebook and Twitter personal settings allow. 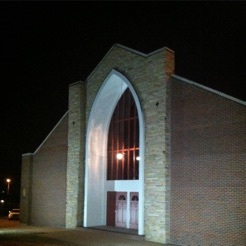 Twitter will have # of #edgewoodprayers for others to search and pray for you.